We can get you in shape ANYWHERE! Our goal at Anywhere Gym is to get you the most results in the shortest amount of time. We also have options for every budget to make sure everyone can get in the best shape of their life. With our private studio, we provide the perfect place to get you to your goals. It is unlike all of the big box gyms. When you come to us, you are always with your personal trainer. We keep our gym very clean. There are no lines to wait for equipment. And we have a very comfortable environment without anybody standing around gawking at you. 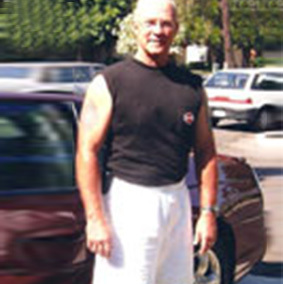 Mobile Personal Training: If you can’t make it to us, we can bring the gym to you. We travel anywhere and make it an ideal workout environment. This can be your home, park or even your office. It can't be any easier. So no more excuses! Our Program: For a complete workout you need to do more than just lifting weights. There are different types of training that people do not include into their workout regimen. These things are: Flexibility & Resistance Training, Cardiovascular & Core Training, and Diet & Nutrition. If you want results you need to include all of these. That is what we are here to do for you. All of our training includes all of these things specifically tailored for your individual results. We are here to keep you accountable, increase results, motivate, teach proper technique, and progress your workouts as you improve.